Klipsch has introduced two new custom installation subwoofers with ‘design flexibility’ for home audio systems, which add to the company’s existing subwoofer assortment. The Klipsch Professional Series in-ceiling/floor and in-wall subwoofers will benefit from a minimal footprint and deliver ‘powerful’ bass. The new Klipsch Professional Series PRO-1200SW (12” woofer) in-wall subwoofer should be easy to install into new construction in standard 16” OC stud bays. 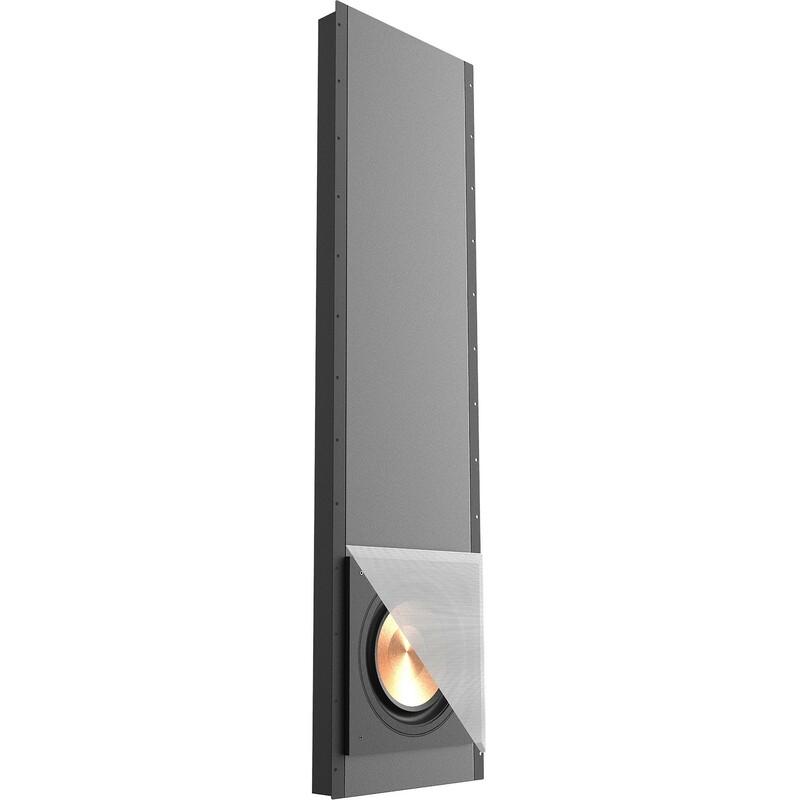 The in-wall subwoofer features a long-throw Cerametallic woofer with reverse rolled surround and includes a behind-the-drywall design that keeps it hidden from view. The PRO-1200SW joins the existing Klipsch PRO-1000SW (10” woofer) in-wall subwoofer in the same series. The second of the two is the new Klipsch Professional Series PRO-800SW in-ceiling bandpass subwoofer. The company claims that it will deliver ‘clean, dynamic low frequencies’ for distributed audio or whole home audio installations. The design features a port tube that opens to a 4.25” opening, matching the diameter of most recessed lights and minimizing the visual footprint in any room. The 8” long-throw Cerametallic woofer provides is paired up with a dual voice coil design allowing for system design versatility. A 90° connector and dog legs on the port tube ceiling connector ensure should make installations easy in small or tight spaces. The Klipsch PRO-800SW subwoofer can act as an in-floor option as well, with a 4” x 10” floor vent kit accessory (sold separately) for a discrete installation. These Professional Series architectural subwoofers feature MDF enclosures for sound isolation from neighboring rooms, and magnetic, paintable grilles for making them more home-friendly. Klipsch has custom designed presets for optimized EQ and limiter settings of its KDA Series Amplifiers to maximize output and acoustic performances of the Professional Series subwoofers. IP Ethernet network control drivers from Control4, Crestron, and RTI now communicate with, and command, Klipsch DSP amplifiers for seamless control and optimal sound. For more information on Klipsch Professional Series subwoofers, visit Klipsch.com/Custom.